Creative Thinkers provides consulting services to government agencies, non-profit organizations, and businesses. 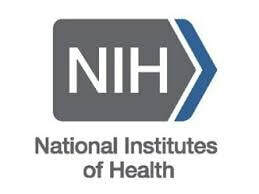 For NIH Office of the Director and Institutes, our services have included strategic planning, crisis/incident management and media training, research results dissemination training, managing contract proposal review teams, conducting in-depth interviews, meeting facilitation, and serving as a liaison between NIH and non-governmental organizations. We have been awarded more than 30 Training Orders from CDC for these courses, and in a recent Fiscal Year we taught 11 courses, some more than once. Courses taught by our instructors have consistently received excellent evaluation scores from participants, with one participant recently commenting, “This is by far the BEST CLASS I have taken at CDCU.” Courses have been adapted for the National Institute for Occupational Safety and Health, CDC, and could easily be designed for other audiences as needed. See our Professional Education/Training capabilities. In addition, we have recently completed a contract to describe, for the first time, the distribution of population health literacy by geographic and social factors and its association with well-being through analysis of the Behavioral Risk Factor Surveillance System (BRFSS) dataset. For the FDA Center for Tobacco Products, we are providing consulting services on a contract for Communications Support. For the National Native Commercial Tobacco Abuse Prevention Network, we wrote and distributed an e-newsletter and provided consulting services. For government contractors, our services include strategic planning, proposal development, writing, editing, and “Red Team” review. We also recruit Subject Matter Experts (SMEs) to bid on contract proposals. We have an excellent track record, with one company receiving contract awards for almost 100% of the proposals in which we were involved. For nonprofit community organizations, we have performed strategic planning services, including meeting facilitation and SWOT (strengths, weaknesses, opportunities, and threats) analyses.